This is a great deal on this very popular LEGO Star Wars Tie Fighter 9492 at just $35.20 Shipped (34% discount on list price). Lego Star Wars models are always great quality and very popular with both kids and adults. 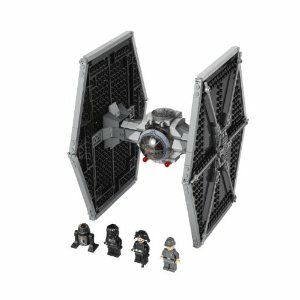 The Lego Star Wars Tie Fighter 9492 is really popular right now just in time for the Holidays. This gets 4.5 Star Reviews on Amazon. Disney Princess Sparkling Belle Doll just $5 Shipped + More Hot Deals!